As of August 2018, Parking and Transportation Services has shifted from affixed decals to virtual permits! Where you register your vehicle's license plate to become the virtual permit! Unless you purchased a reserved space you will not receive a physical permit. Virtual Permits use your license plate information and a connected database to identify your vehicle rather than a traditional affixed decal or hang tag permit. Similar to the traditional parking permit registration: Students, Faculty, and Staff must enter information such as vehicle details (license plate number, make/model, color, etc. ), home addresses, e-mails, and phone numbers online. How will my license plate information be used? The license plate information collected in this process will only be referenced against the campus database for the strict purposes of verifying Vanderbilt parking permits on campus. License plate information entered in our system during the registration process will be kept permanently, as it is today. License Plate Recognition (LPR) is the most current parking technology available that provides virtual permits through a vehicle’s license plate number in place of a paper permit. Individuals will register their vehicle license plate number into the parking software when purchasing a permit. The software generates a virtual permit assigned to that vehicle's license plate. The rear license plate is captured by cameras mounted on enforcement vehicles during patrol. LPR works like a supermarket scanner by using your license plate in place of a barcode. When read, your license plate is automatically referenced against our database to verify the vehicle has purchased a virtual permit for this location. If the license plate and vehicle information are not associated with a valid virtual permit, or if the vehicle is linked to a virtual permit for a different location than the vehicle is currently parked (employee, student/general, etc. ), then the vehicle will be subject to citation. Elimination of physical permits to display, and the need to move permits from vehicle to vehicle. Lost or stolen permits and the associated replacement fees, police reports, and processing will be eliminated. You will not have to worry about remembering your permit, a permit falling off your rear view mirror, or permits being displayed improperly. Reduced paper, plastic, envelopes, and ink used in permit production and distribution. Why is the University implementing LPR? LPR will increase parking efficiency on campus, provide a variety of technological advantages to parking customers, and will greatly reduce the amount of paper and plastic waste produced in the current system. How can I purchase a permit? Permits may be purchased online. You will click the Parking Account link and follow the prompts. You will pay the full price for your permit if you purchase the permit any time between the first and third week of the month. How can I verify my permit purchase? At the completion of your permit purchase, a confirmation is emailed to your Vanderbilt email address. You can view your permit purchase in your Parking Account along with associated vehicles. Permit cancellation requests must be made in writing to Vanderbilt Parking Services by way of email (parking@vanderbilt.edu). Permit refunds/payroll cancellations must be received by Parking and Transportation Services by the 5th calendar day of the month to receive credit for the full month. To complete the appeal process, please go to www.vanderbilt.edu/parking , Manage Acct Tab and Appeal Citations. You will follow the prompts from there. Each appeal will be reviewed by the Parking Appeals Committee to determine an appeal decision. All appeals must be submitted within 15 days of the issuance of the citation. All decisions of the Parking Citations Appeals Committee are final. What happens if I do not have a permit when I park? If you park without a valid permit, you will be cited. Can I park in any lot now that there are no hang tags or affixed decals? No. All parking lot privileges remain the same and are based upon your permit type. Vehicles parking in areas on campus not associated with their virtual permit type will be subject to citation. How much is a daily permit? If you do not purchase an annual permit and or use alternate transportation, you may purchase a hangtag for $5 ($10 for departments). Daily permits can be purchased from the Parking Services office. The Parking office accepts check, debit or change. The $5 daily permit allows parking in the pay spaces of the following garages: Wesley, Terrace, and 25th Avenue as well as Non reserved spaces in lot 77 and 82. The permits must be scratched off for the calendar day you plan to use it to be considered valid. A Consecutive Multi-day Permit is not available, you must purchase a Daily Permit each day that you park on campus. Once you have purchased a Daily Permit, it is non-refundable. Do I need a parking permit on the weekends? Every vehicle parked on campus must have a valid virtual permit, no matter where you park. The only exception is a visitor utilizing pay parking in one of the garages or metered spaces..
Can I allow another person to use my permit? This is inadvisable as you are responsible for any citations issued to the registered permit. Protect Your Account! What do I do if I am driving a new/different vehicle? Or own more than one vehicle? Individuals are allowed to register up to 8 vehicles on the same virtual permit. However, you are only allowed one vehicle on campus at a time. After you have registered the maximum of 8 vehicles, the system will no longer allow you to add more, please contact Parking Services 615-322-2554 or email parking@vanderbilt.edu to remove previous vehicles and update your parking account. **Two vehicles listed under the same virtual permit may be on campus at the same time, only if the second vehicle purchases a daily parking permit. What if I have a (temporary) loaner vehicle or rental car? Individuals are allowed to add up to 8 vehicles to their parking permit at any time; this includes loaner vehicles and rental cars. 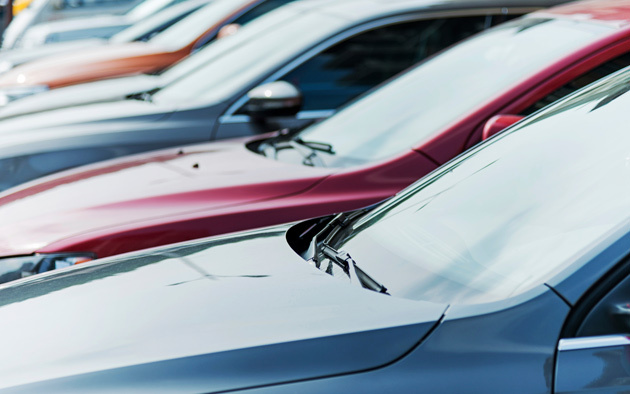 It is important that you contact Parking Services immediately to deactivate vehicles from your account as soon as your use of the temporary vehicle has ended. If the vehicle remains on your account, you may be held responsible for any citations received on the vehicle. To update vehicles in your account, please contact Parking Services via phone at 615-322-2554 or email parking@vanderbilt.edu. Please be aware that upon request, Rental car agencies do inform Parking Services of the individuals that have leased the rental vehicle in question. What if 2 people have both purchased virtual permits, but also share the same 2 vehicles? The LPR system has difficulty recognizing vehicles that are associated with multiple virtual permit accounts. To avoid this confusion, we recommend that you only list your vehicle to your virtual permit. If both vehicles have valid virtual permits, it is not necessary to also list the vehicle on another account. To register a second vehicle to your virtual permit temporarily, please visit the online parking portal. What if I have 2 vehicles listed on my virtual permit and another person brings the second vehicle on campus while I am already on campus with the first vehicle? If two vehicles are on campus under one permit, the LPR technology will recognize that both vehicles are invalid and all vehicles under the same virtual permit on campus at the same time will be subject to citation. Can I park in the dirt or grass? No, only in areas that are marked for parking. Can I park in reserved areas? Only if you have purchased the designated reserved virtual permit. How can I verify that the license number on record is correct? At time of purchase, you are prompted to Select your Vehicles for Permit by selecting the "check boxes" of vehicles you wish to register/link to the permit. You can also add a vehicle by selecting Add Vehicles To Permit located at the bottom of this page. To verify registered/linked vehicles, click on Permits at the top of your parking account. Your permit details will list what permit type you purchased and other linked vehicles with the permit. What if I get a new vehicle or a new license plate? It is imperative that your license plate number and vehicle information is current to avoid an unnecessary citation. Please visit the online parking portal to enter your new license plate information immediately after a change of license plate number for your vehicle. It is also important to expire all old or unused vehicles from your account, please contact Parking Services 615-322-2554 or email parking@vanderbilt.edu to do so. How do I delete a vehicle from my account? In order to remove or edit any vehicle on your account, you will need to contact Parking services via phone at (615) 322-2554 or email parking@vanderbilt.edu to do so. What if I have a brand new vehicle without a license plate? LPR (License Plate Recognition) system has the ability to recognize new vehicles without state-issued plates. If you have a new vehicle with a temporary paper license, please enter that number when registering your vehicle online. You will be required to return to the online parking portal after your DMV (Department of Motor Vehicles) - issued license plates arrive and update your information in order to avoid an unnecessary citation. If you have any issues adding the new vehicle, contact Parking Services (615) 322-2554 or parking@vanderbilt.edu to remove the previous registered vehicle. What happens if I enter my license plate incorrectly? Entering your vehicle information correctly is vital to the process. If you enter your vehicle information incorrectly, you may be subject to a citation. Make sure your information is double checked prior to input. Please contact parking Services (615) 322-2554 or parking@vanderbilt.edu to update. What if I have a personalized plate or a special character/symbol type plate? If you have a personalized plate with less than 7 characters, or if you have a special character within your plate (heart, star, etc. ), you will skip the special character and enter in the number of characters remaining on the plate. All letter "O"s should be entered as zeros, in order to maintain accuracy in the database. Should you have a custom plate with the letter "O"s, please notify Parking Services (615) 322-2554. Will I receive a citation if my license plate is dirty or if I have a decorative cover? As long as your plates are legal for driving, our LPR system will be able to read them. Regulations are enforced 7 days a week, 24 hours a day. A citation may be written at any time. Appeals can be submitted online through the parking website, within 15 calendar days from the date the citation was issued. Citations must be paid (if not appealed) within 15 calendar days from the date the citation is issued. What will happen if I do not pay my citation? If you are a student and do not pay or appeal your citation within 15 calendar days, the fee amount will be sent to your student account. If you are faculty or staff you may be subject to collections. If you have three or more unpaid citations your vehicle is subject to towing. What happens if my car is towed? When your car is towed, it will be taken to the tow lot on campus until all citations are paid. An additional $75 tow fee will be added to your total fee. The individual picking up the vehicle will be responsible for the tow fee. What causes my vehicle to be towed? Three unpaid citations will result in towing. Also, violations such as parking in a service area, fire lane, a reserved space, a disability space (without a valid disability placard) or if you obstruct traffic and create a safety hazard can result in towing. If I receive a parking citation, can I let my parents, spouse, or friends communicate on my behalf with Parking & Transportation Services and University Officials? Please be advised that pursuant to confidentiality laws, Parking & Transportation Services and other University officials can only communicate with the student who has been issued the citation. If I have a disability, how do I park using virtual permits? If a disability placard is obtained, you must display it appropriately according to state laws. You must also purchase a permit for the area you qualify for. What is "Nose-in" parking and why is it required? "Nose-in" parking is when your vehicle is parked with your license plate visible from the driving lane. Our LPR cameras will drive through the lots scanning license plates to determine whether the vehicle has a valid permit. If you "back-in" or "pull through to the space in front of you", your license plate will not be visible, resulting in a citation being issued. Why didn't I receive a warning prior to getting a citation? All lots display visible signage with the "required permit needed" to park, it is your responsibility to ensure you are parked in the correct area for your permit type. How will I be notified about my received citation? This method has not changed. Paper citations will be displayed on your vehicle windshield. Also, you may view your citation(s) through your online parking portal . How frequently will parking lots be patrolled with the LPR technology? Each parking lot will be patrolled on a continuous, variable route. The routes will ensure each parking area is patrolled multiple times each day in order to provide consistent enforcement. In addition, traditional parking enforcement (e.g., enforcement team on foot) will continue to monitor Parking Garages, pay spaces, meters, reserved spaces and disability spaces. Have a question, concern, or suggestion?